The Abraham Center commissioned parallel polls from Mina Tzemach’s Dahaf and from pollster Rafi Smith on the Israeli public’s views about peace with the Palestinians. The firms were aware of each other’s polls. Each poll asked one question: If the government of Israel presented a public referendum on a peace agreement that would end the Israeli-Palestinian conflict, to be implemented only after the Palestinians held up all the obligations at their end, especially the war on terror, and the United States approved of the agreement, would you support it or not? When it came to the general public, Mina Tzemach’s poll revealed that 67 percent supported such an agreement and 21 percent opposed it, while Rafi Smith’s poll showed 68 percent in favor and 25 percent against. The surveys found that the general public’s support for the agreement rose to 75 percent (Dahaf ) and 80 percent (Rafi Smith ) when augmented by various other “improvements” such as a defense alliance with the United Sates, disarmament of Hamas and an end to its rule in Gaza, and Arab states’ willingness to enact full diplomatic relations with Israel. Does this mean, as the Left suggests, that it is the intransigence of the Netanyahu government that is holding Israel back from making peace? Does it mean that with a little more pressure from the US, such an agreement is possible? Of course not. What it means is that Israelis really, really want peace and most would give up territory in return, if peace were attainable by doing so. The poll question presumes that the PLO state would be demilitarized and the Palestinians would “hold up all their obligations [first].” How demilitarization could be enforced and how the Palestinians could be prevented from violating the agreement — as they have violated almost every agreement they made with Israel since 1993 — are not specified. As for the idea that Hamas would disarm and give up control of Gaza, it’s far more likely that Hamas will end up in control of Judea and Samaria too. In addition to the practical issues above, the question assumes that the Palestinians would sincerely agree to Israel retaining the settlement blocs, to demilitarization, to abandoning their demand for ‘right of return’, to recognizing Israel as the state of the Jewish people, etc., when they have consistently rejected these ideas when presented as concrete peace proposals. Polls among Palestinians consistently show that they support violent ‘resistance’ until Israel has been replaced by an Arab state. 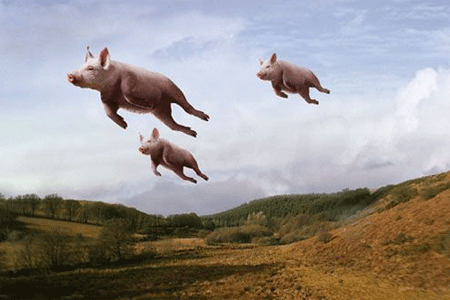 An acquaintance called this an “if pigs could fly poll.” There is as little chance of the conditions being fulfilled as there being a porcine airlift, so it has no real-world application, except insofar as it shows that even right-wing Israelis dream of peace. But we knew that. Yet another recent poll, also conducted by Dr. Mina Tzemach, showed that 83% of Israelis believe that withdrawal to pre-1967 boundaries wouldn’t bring peace. That is why they vote for the Likud and rightward. The Abraham Center is headed by former Congressman Robert Wexler, who is close to President Barack Obama and was very active in the latter’s recent presidential campaign. According to one assessment, Wexler may be appointed to a senior position in the Obama administration in the coming months. It tells us that the Obama Administration has not given up on its plan to create a Palestinian state in Judea, Samaria and Gaza, and to divide Jerusalem. Just wait: the poll will be presented as ‘proof’ that the majority of Israelis want it to! 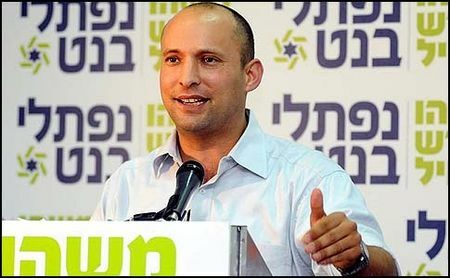 We are often warned about the dangers of the “extreme right” in Israel — as Thomas Friedman called them, those who “actually want to annex the West Bank.” I presume that Friedman was referring to people like Naftali Bennett, who has made a proposal to annex Area C — the parts of Judea and Samaria where almost all the Jewish residents and few Arabs live. Germany changed the rules first. Lufthansa stopped flying to Israel, and a year later, Germany refused El Al landing rights. After subsequent dustups, Air France and France followed suit, as did British Airways and the UK. Soon, the only way to get to Europe was by sea. Israelis could still fly to Turkey, though. Both Friedman and Gordis seem to be saying that Israel must not defy the Europeans and Obama Administration on the issue of Israel’s rights in Judea, Samaria and eastern Jerusalem. By playing along — despite the fact that an excellent case can be made for the legality of Jewish settlement in these places — Israel can avoid potentially disastrous punishment. There are two problems with this position, one philosophical and the other practical. The philosophical problem is that it represents an abdication of sovereignty, the sovereignty that Jews have been fighting and dying to preserve since the beginning of the Zionist enterprise. It represents a return to the ghetto mentality by which Jewish survival was dependent on the good will of the local gentile prince. Once we agree to the principle, where does it stop? Both the US and the EU do not accept Israeli sovereignty over any part of Jerusalem — the US State Department continues to insist that until there is an agreement between Israel and the Palestinians, Israel’s capital is not Jerusalem (they won’t say what it is). Many European countries (and the EU’s Foreign Minister Catherine Ashton) are prepared to talk with with a Palestinian ‘government’ that includes Hamas. The EU’s oft-stated position is that any Israeli settlements beyond the Green Line are “illegal under international law.” How can Israel play along with a policy that calls for the expulsion of half a million Jews from their homes? And this is only the immediate objective. What can we expect next, that the EU will require Israel to grant a ‘right of return’ to 4.5 million descendants of Arab refugees before it will welcome what’s left of Israel into the family of nations? The EU’s positions can only be expected to harden in the future, as its Muslim population grows. Although it’s harder to predict the behavior of the US in the long run, there are worrisome indications today — like Obama’s floating of a possible nomination for the anti-Israel Chuck Hagel as Secretary of Defense. A policy of appeasing the US and EU can only aid the Arabs in their project to weaken Israel and slice away at it, bit by bit. A better plan is to stand firm and insist on Israel’s legitimate rights — to stay off the slippery slope. I am not one who thinks that only Israelis have the right to comment about Israel. After all, I’m an American and I write about it all the time. But I do think that foreigners should at least pay attention to what Israelis think when forming their opinions, and even more so when proposing ‘solutions’. After all, Israelis are the ones who suffer the consequences of outside meddling. It’s hard to imagine a more arrogant attitude! For Friedman’s information, Israel is a democracy, and if right-wing politicians are elected, it is — gasp — because Israelis voted for them. And probably the single most important issue driving votes today — not the only issue, by any means, but the most important — is security. Israelis have finally realized what a bill of goods they were sold in 1993, when they were suckered into the Oslo agreements. They experienced the Second Intifada, and the results of the ill-advised withdrawal from Gaza. Most of them now understand that security does not lie in surrendering territory near Israel’s population centers to those who want to kill them. They also are coming to understand that they don’t have to allow antisemitic Europe and Saudi-influenced America to to define the borders of the Jewish state and its capital. Some even believe that the 19-year Jordanian occupation of Judea and Samaria, including eastern Jerusalem, did not magically render these areas forbidden to Jews. And the fact that “Palestinians want these areas for their future state,” as we constantly read in news reports, is not an argument for giving them up. Friedman and other ‘friends’ of Israel believe that they know better, recycling the ideology of the Israeli Left that Israelis themselves have rejected out of harsh experience. They are either ignorant of reality, or their objective is not that Israel should survive and thrive — but something else. If someone tells you that all of your property belongs to him, and he will get it and dispossess you no matter how long it takes, then would you suggest that he take half of it now in the name of peace? I am always confused when what the US and European media constantly refer to as Israel’s ‘hardline, right-wing’ government says that it is committed to a ‘two-state solution’ with the PLO as partner — the PLO that has murdered more Jews than any organization since the Nazi party. What is so ‘hardline’ about this? The government is called ‘hardline’ because it has announced that it will permit construction of apartments for Jews in places like E1 that are under complete Israeli control, according to the Oslo Agreements (even though the PLO showed its contempt for those agreements by unilaterally turning to the UN for recognition as a ‘state’), and in its capital. But since the PLO wants all of those places to be part of its Jew-free state (the media, normally hypersensitive to the slightest breath of racism, never seem to notice this), then these announcements are considered ‘obstacles to peace’. 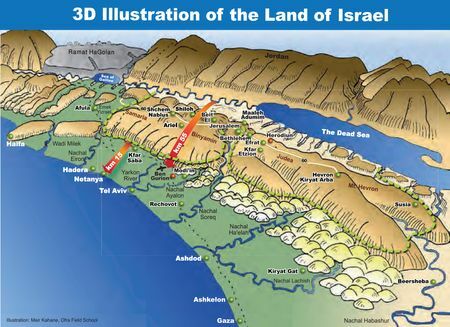 The biggest obstacle to peace, of course, is the Palestinian intention to establish an Arab state from the river to the sea. In 1993 the Israeli Left managed to con the government into letting the PLO return, and since then, the rapidly diminishing Left (now pretty much confined to some academics and members of the Ha’aretz editorial board) has been joined by the Europeans and the US in an effort to force Israel to implement the first stage of the PLO conquest by giving up Judea and Samaria and half of its capital. The US and Europeans are affected by economic pressure from Arab oil producers, the political muscle of Europe’s growing Muslim population, the entrenched Saudi influence in the US, and plain old Jew hatred. The Israeli Left, such as it is, is either paid off — leftist NGOs are financed by the Europeans and the US-based NIF — or suffer from terminal cases of the Oslo Syndrome. I’ve explained over and over again that the “two-state” solution is not a solution to anything — rather it would be a security disaster — and that there is no reason to make any concessions to the Palestinians as long as their oft-stated goal remains ending the Jewish state. Everyone who understands the situation knows this. Certainly the Netanyahu government knows it better than most. So why does it continue to pay lip service to the destructive idea that peace could be had through concessions to the PLO? [Bennett] charged that the policy of Netanyahu’s government on settlements and the Palestinians is “schizophrenic” — by which he apparently meant that the prime minister talks a lot about major expansion of building beyond the Green Line, while also insisting he wants to move forward with the Palestinians, positions that manage to annoy the international community, the Palestinians, the settlers and just about everybody else in between. Is it right-wing extremism to expect consistency? I don’t think so. It’s time to dump the obligatory genuflection to the need for a Palestinian state, and get on with building the Jewish one. The PressTV story is sad and upsetting, mostly for its incredible insensitivity but also, to a lesser degree, for the obvious bankruptcy of Iranian propaganda. Who, exactly, is this story supposed to convince? Iran is not North Korea; information flows in and out of the country much more freely, and though public attitudes toward the United States are not exactly warm, nor are they so twisted by hatred or ignorance that such an outlandish story as this would seem likely to convince many readers. And, beyond the Mike Harrisses of the world (he also blames last year’s Norway shooting on Israel), it doesn’t seem likely to exactly turn American opinion away from Israel or toward Iran. And yet here it is, outrageous, offensive, and clearly counterproductive, for all the world to see. Mr. Fisher, I’m afraid you don’t know the half of it. In addition to practically the entire Arab world (which also believes that Zionists train wild boars, sharks, vultures and other animals to attack or spy on them), there is a large sector of Americans — like Michael Harris — who believe such theories. I won’t link to it, but the article has already been reposted on the neo-Nazi website Stormfront, where it is the subject of serious discussion. And don’t get me started on 9/11 conspiracy theories, many of which blame the Mossad. Unfortunately, the percentage of humans whose thinking is rational is probably in the single digits (OK, this is a guess). And nothing triggers the irrational conspiracy center located not-so-deeply in the human brain better than a conspiracy that involves Jews or Israel. There is nothing mystifying about their use of this story. It is effective propaganda for many in their audience.